The WAILING has vexed me since I saw it last week. I have been writing and rewriting the review in the hope of getting it to the point where I was happy with it. The question with the film is how much do I reveal. To be honest it’s very easy to say that for 130 of its 156 minutes it’s one of the best horror films you’ll see all year, possibly ever. The trouble how to I deal with the last 20 minutes of story, where something happens and well its a head scratcher? I suspect by reviewing the film and talking about the end at the end. The plot of the film has the residents of a small town going nutzy fagin and killing themselves and each other. The people seem to be insane and are covered in boils. Stories are rampant that it’s the doing of a weird Japanese guy living in the woods. Many people insist he is a ghost or worse. A local police officer is drawn deeper into the mystery when his daughter begins to change and seems possessed by something. When medicine fails a shaman is brought in and then things get weirder. It’s just f-ed up visceral stuff and it gets your heart racing. 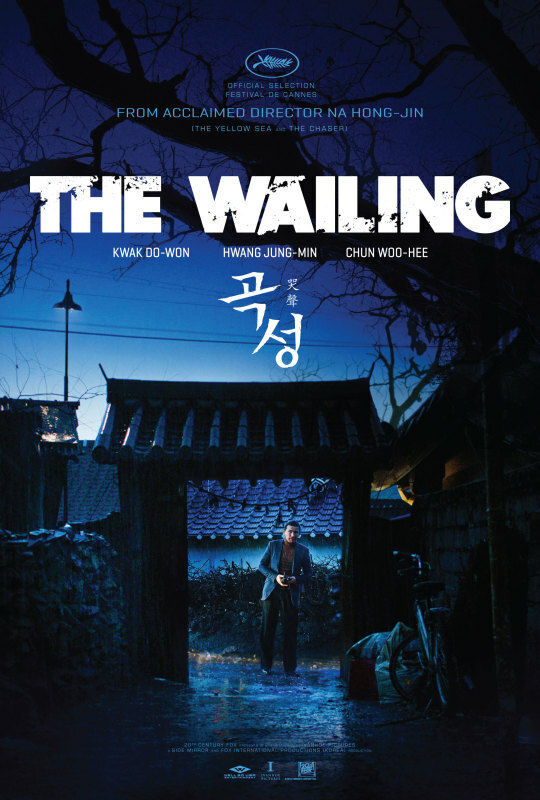 I loved most of THE WAILING. The film freaked me out, made me laugh, made me hide my eyes and it made me wish the film would break so I could get the hell out of the theater and the head space. It is most of its running time one of the best horror films I’ve ever seen. 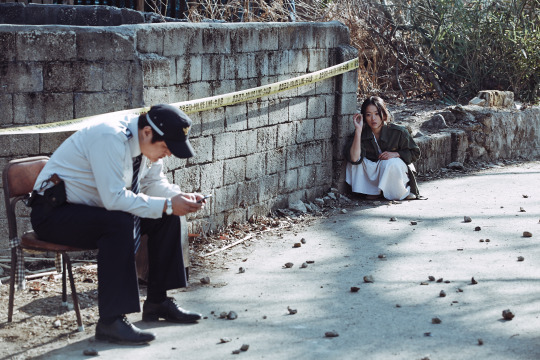 It is a finely crafted film which gives us just enough detail to keep us connected and just enough uncertainty to make us deeply disturbed. For most of its running time it keeps us on the edge of dream logic where we know enough to go with it despite being bothered by what we are seeing not jibing with reality. We are trapped in our hero and the towns waking nightmare and there is no escape. It is the sort of ghoulish twisted delight where you want to run but at the same time you have to see what happens. Watching it I wanted to shut the film off and take a breather. It’s just wrong in the best possible ways. It’s also frequently funny, in the right ways. The trouble is that there is a point in the last twenty minutes where the spell is broken and soon after it seems like someone grafted the plot from another film into this one. Yes it remains tense, but the film goes to a dead stop in logic and reasoning - especially on its own terms. The ethereal dream logic is gone. Nothing is as it was before… what we are told is the new situation in no way fits what with what before. This isn’t like a caper film where details are left out and we then see them from another POV later, this is whole scale reinvention of characters and situations. And while the film has no trouble coasting to the end credits with enough good will that I still really love the film, my desire to let the world know how great the film was gone. I wanted to discuss the film not because its grand masterpiece but because I wanted to know what the hell went wrong with this one twist. When I say that the twist is a problem I mean it’s a HUGE problem that several hours of discussion can’t explain away. I telling you about the two hours of discussion because two days after I saw the film, friend and occasional Unseen Films contributor Alec Kubas-Meyer saw it. A texting conversation turned into a two hour discussion during which we hashed out everything that happened in the last twenty minutes. During the discussion I found most of the minor plot questions I had could be explained away depending on how you chose to view the film. Yea, they can be considered niggling problems but they are not catastrophic. Our discussion sorted out any problems pretty quickly but there was one thing that we can’t explain away. 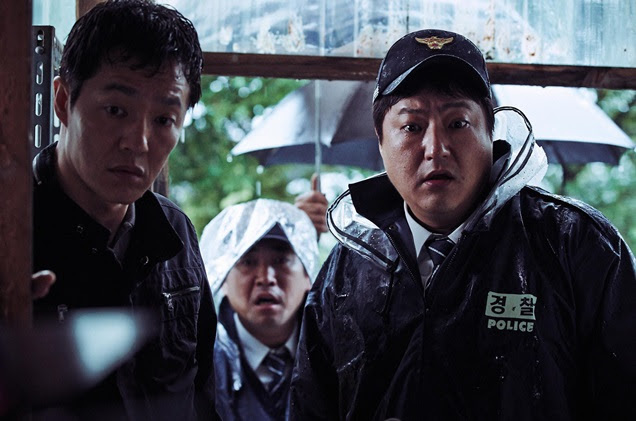 Don’t get me wrong I love THE WAILING, and it will almost certainly end up on my best of 2016 list because it’s such a f-ed up visceral punch but there is this one thing that keeps me from saying its one of the best horror films of all time. I’m hoping that repeated viewings and time will soften my disappointment and let me put the film where it belongs. For now I feel like I’ve seen the Mona Lisa but had to keep dancing around a woman with a big hat to see it. Reservations aside- the film is a must see. A visceral kick in the gut that is very much its own thing.